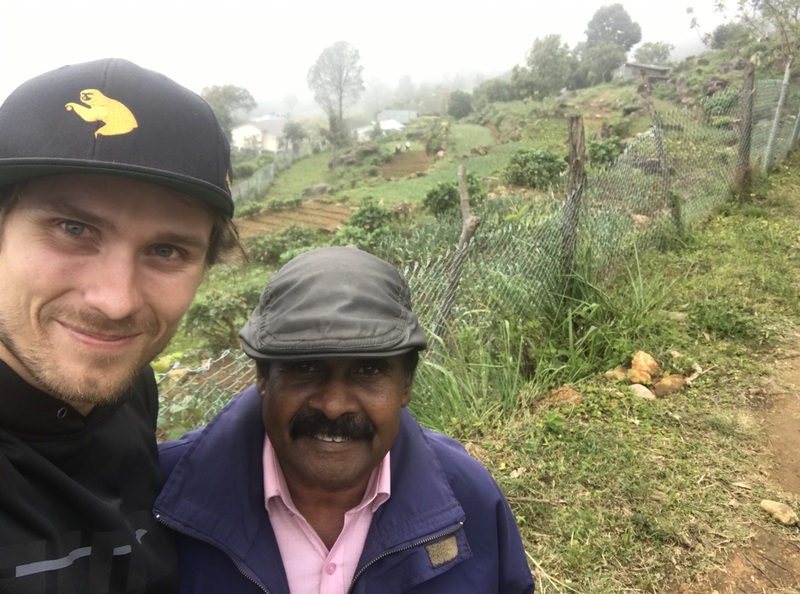 In January and February of 2019 our staff member, Jacob, spent several weeks in Sri Lanka volunteering at the Grace Care Center and visiting the Greenfield Tea Estate, which produces our delicious Organic Ceylon Black Tea. Jacob first traveled to Trincomalee, a small city on the eastern coast, where he volunteered at Grace Care Center. In partnership with Ann Arbor (our hometown!) and the greater Washtenaw County communities along with the University of Michigan, Grace Care Center provides education, shelter, food and medical treatment for up to 60 orphaned girls. After tutoring math at Grace Care Center, Jacob traveled from Trincomalee to the Greenfield Tea Estate. 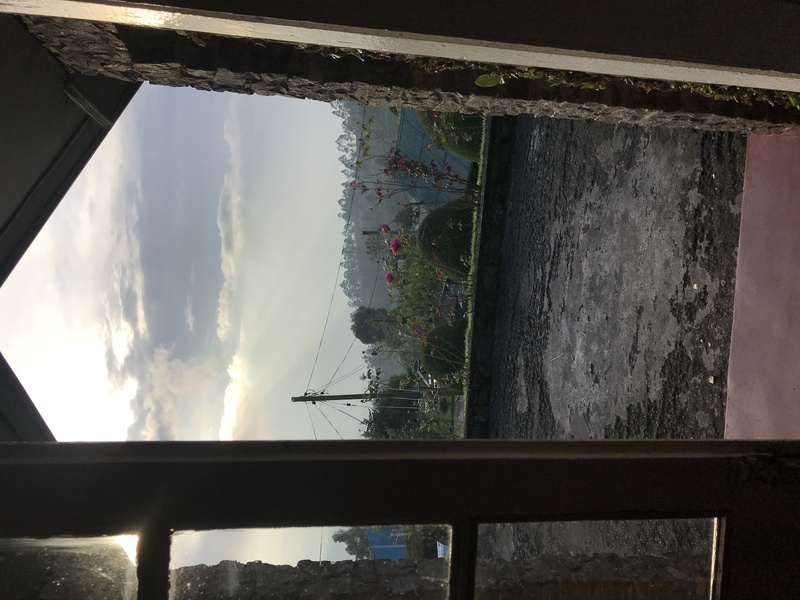 The Greenfield Estate is located in the Uva highlands, a landlocked province in the south east corner of Sri Lanka, 5,000 feet above sea level. 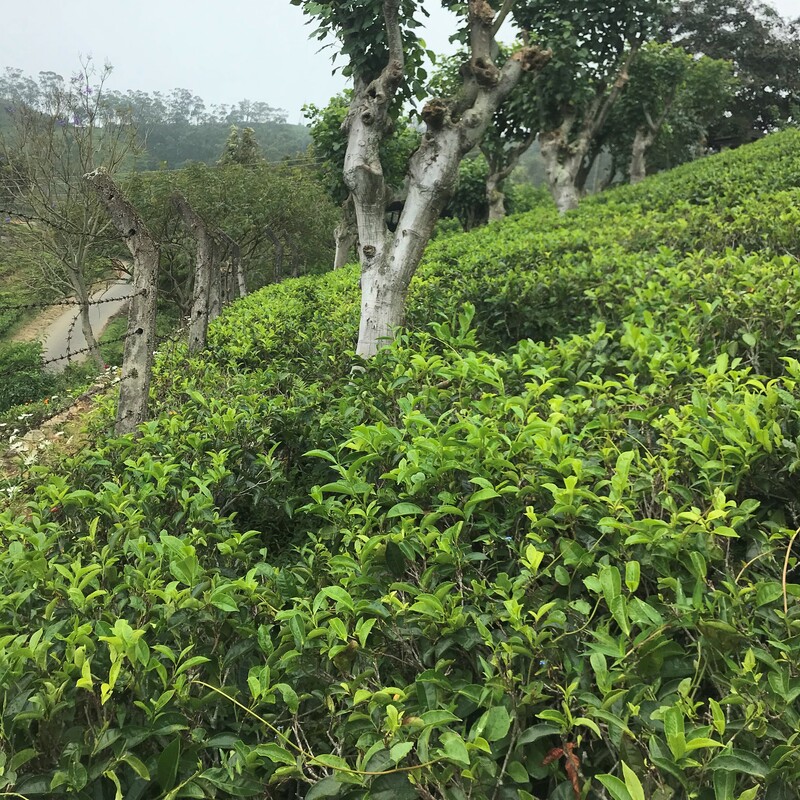 Most tea from Sri Lanka is grown at a lower elevation, but the high elevation of Greenfield gives its tea a lighter and more complex flavor profile. 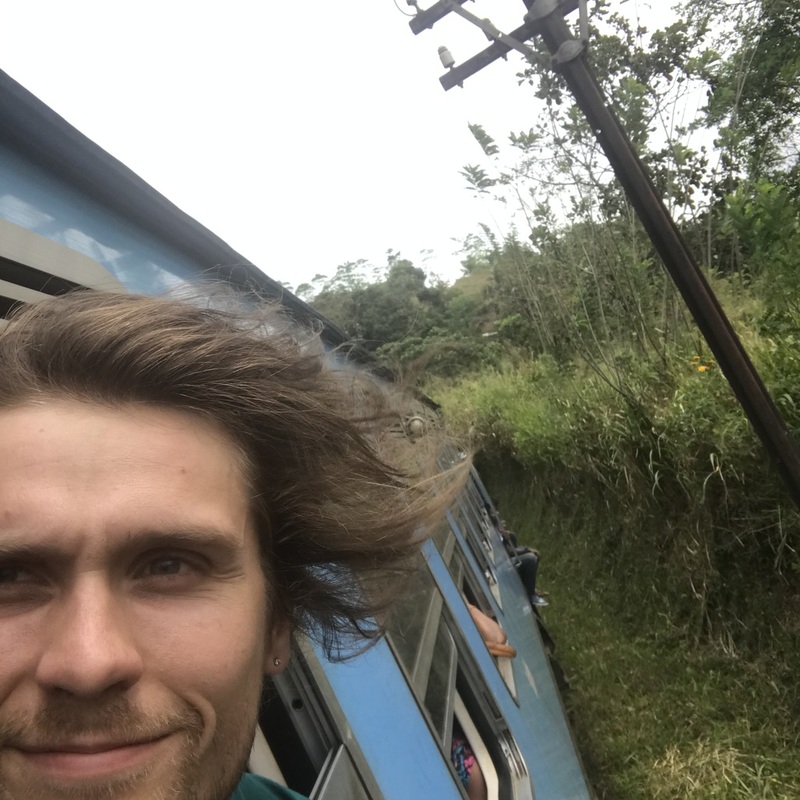 Jacob’s journey to Greenfield took 6 hours by bus, and another 7 hours by train, leaving the hustle and bustle of the city for the sanctuary of the mountains and lush tea gardens. Tea production began in Sri Lanka in the mid 1800’s when the island was under British control and known by its colonial name, Ceylon. Originally coffee was the main agricultural product in Ceylon, until a fungal disease known as “coffee rust” wiped out most of the coffee plants in the 1870s. After the collapse of the coffee crop most farmers switched to cultivating tea. 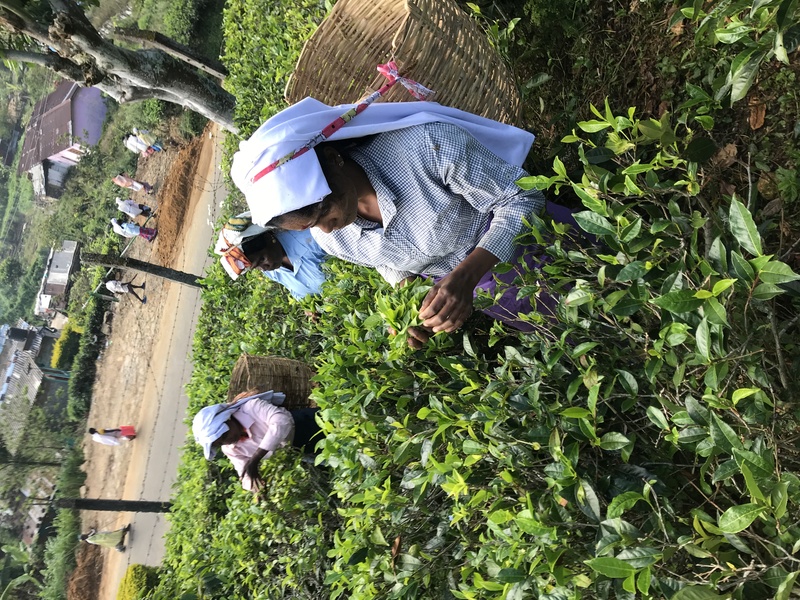 Now, tea production and export is a large portion of Sri Lanka’s economy and landscape, blanketing four percent of the entire countryside in tea gardens. The Greenfield Tea Estate is an organic and biodynamic tea garden that is part of the Greenfield Bio Plantations, a Sri Lankan-based company with “a commitment to offering the very best certified organic fair trade products while ensuring a sustainable lifestyle to their partner communities and safeguarding the global environment." “Mr. Manawadu, the manager at Greenfield Estate, picks me up from my hotel at 5:50 am in his car to take me to the estate. I arrive at the Greenfield Estate while it is still dark, but quickly turning to dawn. The garden unfolds before us. It’s perched atop a hillside and almost resembles a castle. It’s pristine, with an obvious respect for the earth. Moss grows along the walls and flowers line the paths throughout the garden. Rows of tea bushes stack on top of one another all the way up to the jungle above. The care given to the garden is evident in how well it’s kept and the entire grounds shine with love and care. Our first stop is inside the tea processing factory. First, I am shown the belt that carries the baskets of freshly picked tea up to the second floor of the factory. The freshly picked leaves are spread out in the long withering tables that fill the second floor. This withering process takes about 12 hours as the tea leaves’ moisture content drops from 80% to 45%. Mr. Manawadu indicates that they started the withering last night, so the tea is ready for the next step when I arrive. They take the withered leaves over to a chute in the floor to drop them down to the first floor where all the other processing happens. Before dropping the leaves through the chute, each load is weighed (10 to 12 kg each) and recorded on paper. After observing this step, we take a break to enjoy tea and a few snacks (made by Mr. Manawadu’s wife!) in his bungalow adjacent to the factory. Mr. Manawadu tells me a bit about himself. He has been the manager at Greenfield for almost six years, and has been working in the tea industry for 35 years. He was taught about processing tea by an English man, who he recounts as very strict. He required that Mr. Manawadu work every role in tea processing from plucking and factory work to accounting and managing. He shares of a time when all the workers went on strike and he called whoever he knew to come and help finish processing the current batch of tea. ‘Otherwise the tea will spoil, no?’ he said. He also tells me about their Fair Trade certification, saying that it was very rigorous to become certified, and the inspectors took about a week to go through every detail of the farm before they could become certified. Workers are all paid RS 805 per day (as opposed to the average RS 605 per day), there is no slave labor or child labor. They use their premiums to take care of children and workers in the area. Education is free in Sri Lanka, but does not include school books, food, and lodging. They help offset these costs as well as funding renovations for workers’ homes supplying such amenities as running water. After tea and snacks, Mr. Manawadu takes me back to the factory to see the remaining steps in processing today’s batch of tea, which will be processed in the CTC (crush tear curl) style. The large roller machine is the next step, crushing the leaves and triggering oxidation, releasing flavor and aroma. Then the tea is moved into a rotating machine that rapidly spins the tea into clumps. The tea is then moved into the sifter (they have one with a circular motion as opposed to lateral) to sort out smaller pieces. Pieces that do not fall through may be sent back through this machine up to three times. Afterward, the smaller pieces are laid out on a smooth table and spread to a uniform height (about 2 cm) to oxidize for two hours. Instead of waiting for two hours, we skip ahead to the final two steps, drying and sorting. Here I get to see a machine that separates the tea by size. From there, it is packaged and shipped out. After I spend some more time observing the processing steps, I get to do a tea tasting with Mr. Manawadu and then we head outside into the garden. In the fields, there are women with baskets picking tea. The tea plants in Sri Lanka produce new leaves every eight days. The estate is sectioned into eight areas so that they can pick new growth from one area every day and maintain a steady rotation. Then we go on to see the compost. Pasamalar is the compost master, she has been at the estate for quite a long time (longer than Mr. Manawadu). Her compost is inspiring! It’s well organized into batches labeled with the preparation date. Most of the material comes from grass/weeds pulled on the premises, which are ground up before adding to the pile. Of course, the compost pile also includes all unused parts of the tea plant and production. 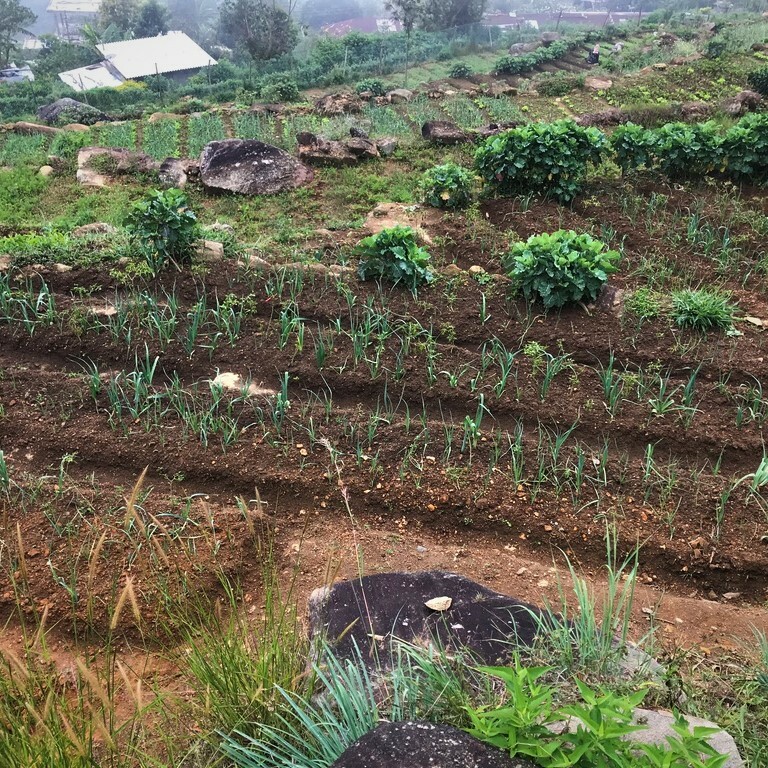 Every part of the garden serves a purpose, most unused materials being cycled back into the robust compost system that eventually makes its way back to the tea plants. This is when I also get to learn about some of Greenfield’s biodynamic practices. When the moon is waxing (or full) they take a horn from a female cow, fill it with cow dung, and bury it. This rests for 3-6 months and channels all the energy from the moon when it is full. The dung is then added to the compost. They place the compost at the base of the tea plants and use it to make compost tea which they call “wormy water.” This is made and processed in barrels with a slow drip of mealworms and rocks for aeration and drainage. They rub this compost tea (by hand!) onto the tips of the freshly picked stems of the tea plants in order to transfer all the energy from the compost tea to the soon-to-be new growth. They explain to me that this also transfers the energy to us when we are drinking the tea! In addition to growing tea, Greenfield also has an herb and vegetable garden. They grow green chiles, cabbage, cauliflower, leeks, chamomile, rosemary, thyme, oregano, fennel, stevia, verbena, mint, and fruit trees. Greenfield’s sustainability initiatives are extremely impressive, from their compost to their care of the gardens. There are about 110 workers in picking and processing, with 170 employees in total.